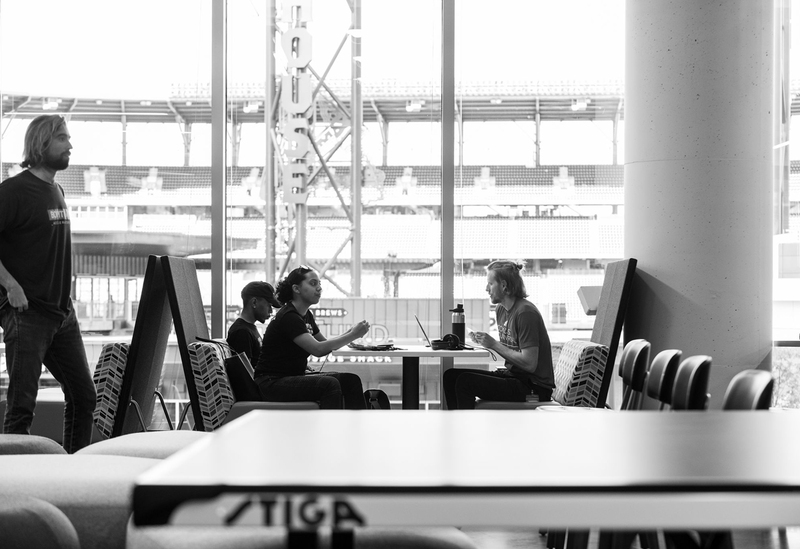 Inside an office at the Battery at SunTrust Park is a group of local entrepreneurs who are hoping to position themselves at the forefront of Atlanta’s innovative tech scene. The list of participants in Comcast NBCUniversal’s startup accelerator, the Farm, provides an look at emerging local talent, many of whom attended colleges and universities within the city: an Emory University alumnus is hoping to showcase the true culture of Atlanta—not just the traditional tourist attractions—with a platform that utilizes artificial intelligence to suggest local events, fashion, food, and more to users. A Georgia State MBA student is hoping to help artists collaborate with one another remotely, in real time, while protecting their creations using blockchain. And a Clark Atlanta University alumna is working alongside her cousin to offer personal concierge services to top CEOs when they visit the city for Super Bowl LIII. 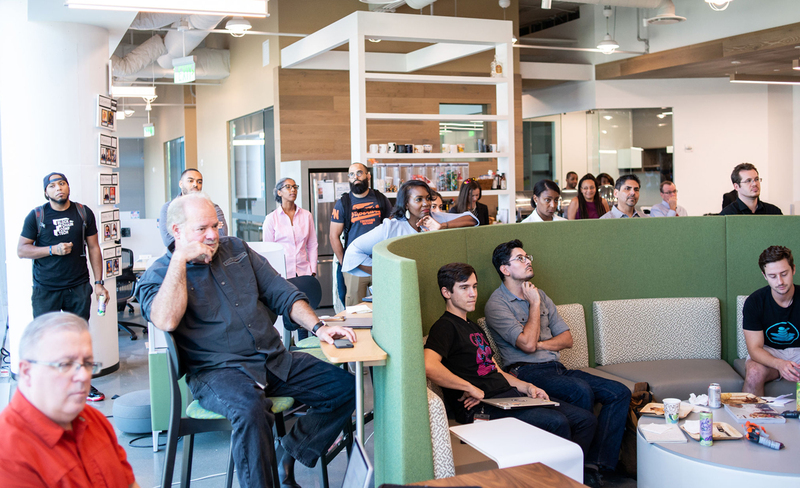 These are just a few of the entrepreneurs who spent 12 weeks working on their startup ideas inside the Comcast Regional Headquarters at the Battery. Powered by Boomtown Accelerators, the Farm offers $20,000 in seed funding, coworking space, personalized curriculum, mentorship opportunities, and more to about 20 startups per year. The first 10 cohorts completed the accelerator earlier this year. On November 9, the latest nine pitched their companies to investors and the public during Demo Day at the Coca-Cola Roxy theater. A group, includingmmanaging director Burunda Prince (center), watch presentations at the Farm. 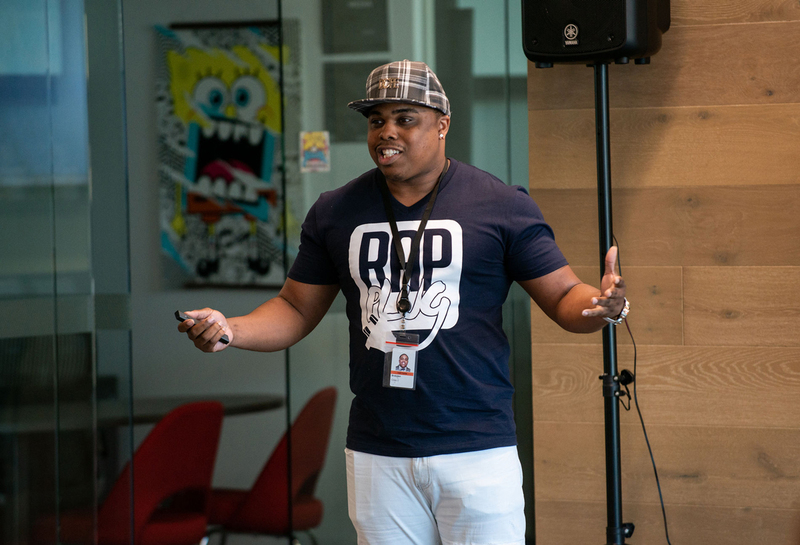 The Farm’s managing director, Burunda Prince, describes the experience as “Shark Tank, TedxTalk, [and] Entertainment Tonight” wrapped all into one for cohorts. She stressed that cohorts don’t get kicked out of the Farm’s office space once the accelerator ends. They can cowork in the space for free indefinitely as they continue to leverage the city’s resources. “Because the Farm is technology and industry agnostic, Atlanta is perfect for it,” Prince said, noting the city’s local colleges and university, Fortune 500 companies, and cost of living. 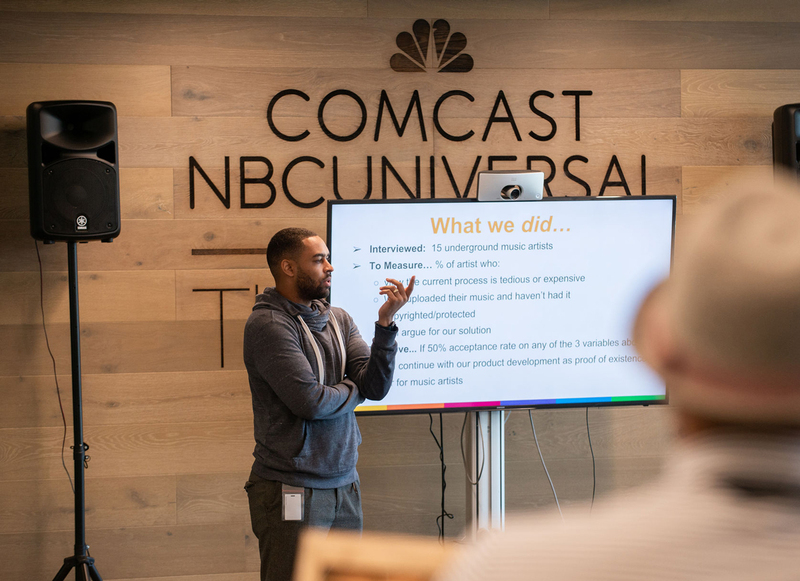 For two of the startups, participating in a Comcast NBCUniversal accelerator helped them secure their first partnership. OurErrands, the company that revealed plans to work with the NFL in preparation for the Super Bowl and with Delta in the coming months, is expected to help Comcast employees relocate and achieve additional productivity by providing personal concierge services for them during the transition period. Kilter Rewards will work with Comcast Cable’s division and regional headquarters operations to help improve employee wellness. The startup allows employers to donate to charitable causes when employees complete daily health goals. Another startup, SkyMul, announced it will pilot its “cutting edge drone and computer vision technology” with the local construction company C.W. Matthews. A number of the most recent cohorts are hoping to capitalize off of Atlanta’s growing entertainment industries to further develop their companies and cultivate partnerships moving forward. Fanaticus hopes to create an immersive experiences for different fandoms. They’re working on a flying broom simulator that can give Harry Potter fans am authentic Quidditch experience using mixed reality. Ernesto Escobar, CEO, said Fanaticus is working to secure licensing to bring this idea to fruition. He hopes the startup can eventually partner with a company like Universal to create “micro theme parks,” but for now they’re in talks with local family entertainment centers and bars about potential partnerships.Rap Plug is a platform designed to connect artists and industry professionals, in addition to allowing them to engage with corporations and brands. The startup has already partnered with the Atlanta-based T.I.G. Records, creating a contest with the company and rapper YFN Lucci to get artists, producers and other people working with hip-hop to join Rap Plug. SoundCollide, the “decentralized recording label,” founded by Georgia State MBA student Robert Hatcher, is hoping to leverage Atlanta’s buzzing music scene for his company, too. 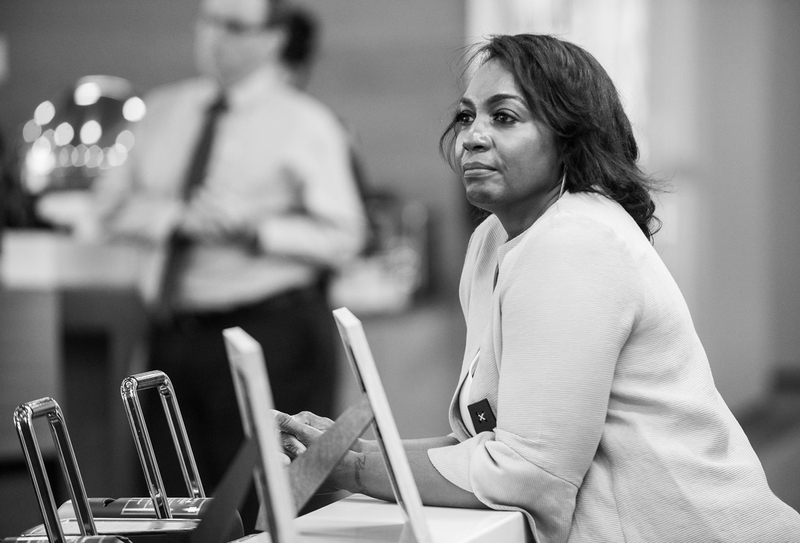 While the startup process is often uncertain, one thing is clear: After Demo Day, the participants all returned to the second floor of the Comcast HQ to continue developing what they hope will become the next successful Atlanta-based businesses.